A full complement of social and skilled-based activities to help improve daily living and supportive of clinical needs. A new and effective therapy to reduce the pain and inconvenience of dysphagia. A short-term, temporary care to give you a break from the daily routine of care giving. We believe in the inherent worth and dignity of each unique person, that our residents are providentially entrusted into our care, and that we are called to share in Christ's compassion and ministry to them. We would love to show you our community in person. Email us to schedule a visit. Please, contact us to learn more about our community. I like it here. I have gotten to know everybody and I wish I could stay longer. Everyone is so kind and thoughtful. Therapy is great, and they have gone above and beyond the call of duty. And the food is really good, too! It's a dandy place to be for a temporary stay. The staff have been very good to me, always available when I ring the bell. Therapy is top notch...it is a great place to get better! I am very pleased with the care that my wife has received. All aspects of Grove Manor are excellent. principally concerned with the care of senior adults. and Woodcrest Senior Living Community located in Scottdale, PA. The Objective of the Christian Loving Fund for many years has been to aid in providing a loving, compassionate environment while carefully attending to the physical, spiritual, social, and emotional needs of the residents at Grove Manor Nursing Home, The Caring Place, and Woodcrest Senior Living Community." Donations and Contributions are received through individual gifts, memorials, Honorariums, Wills and Bequests. Meet the rest of our family! 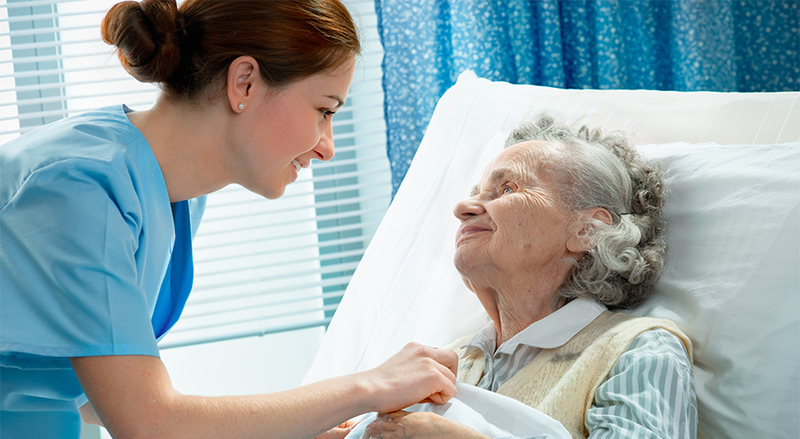 Providing short-stay rehabilitation and long-stay nursing care to Franklin, PA and surrounding communities. Offering senior living and assisted care to Scottsdale, PA and surrounding communities. We are affiliated with Allegheny Region of the Churches of God.